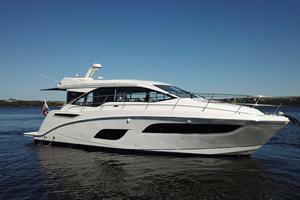 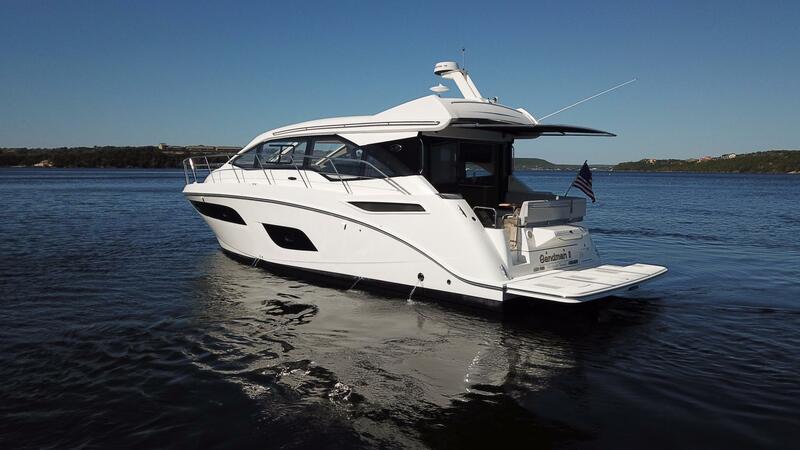 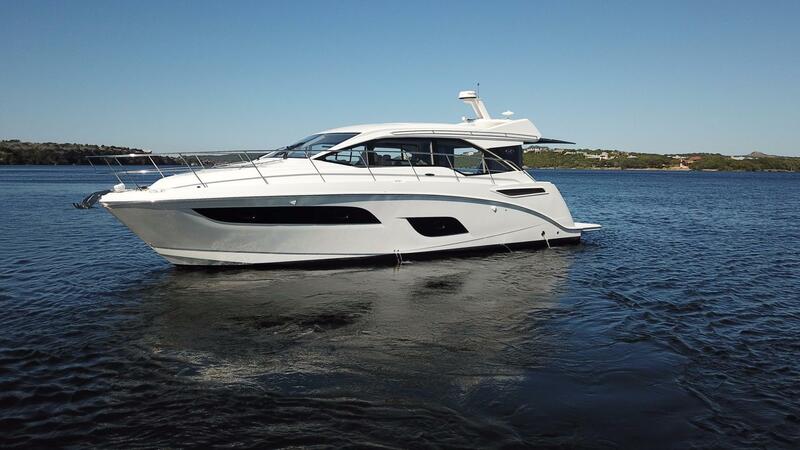 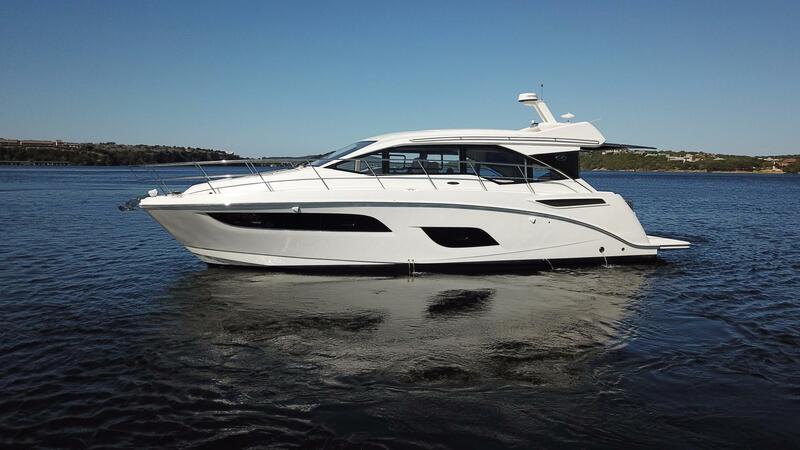 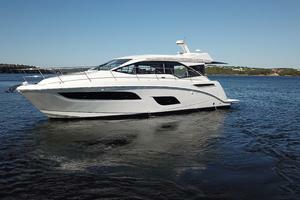 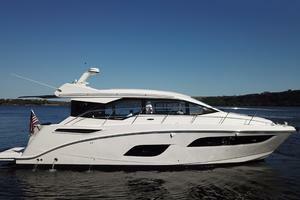 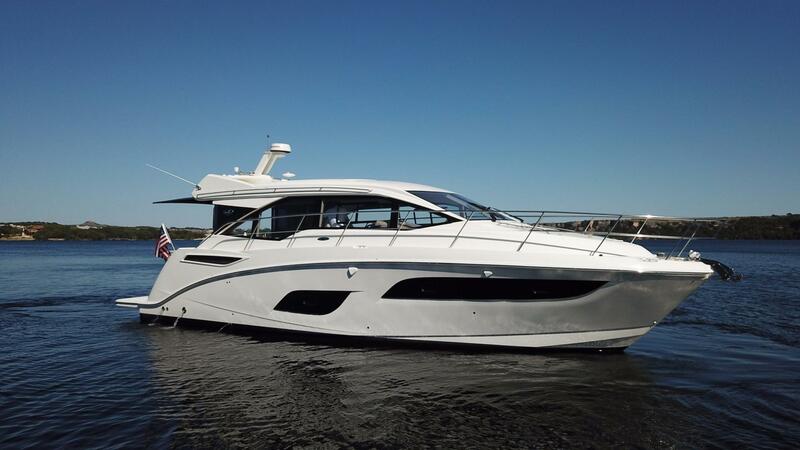 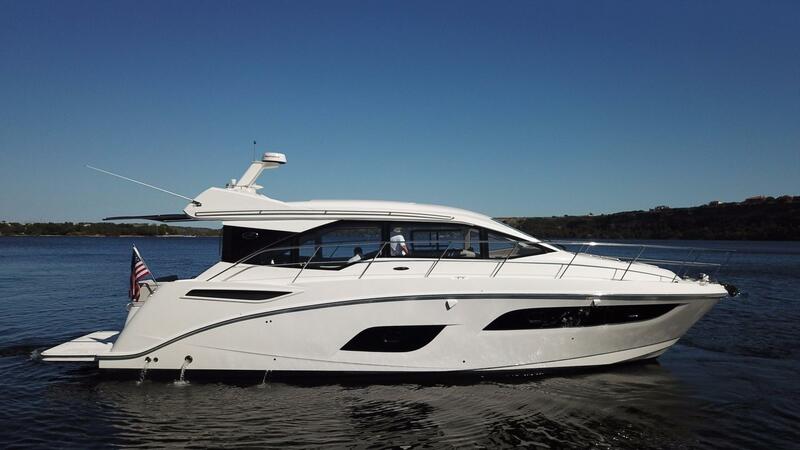 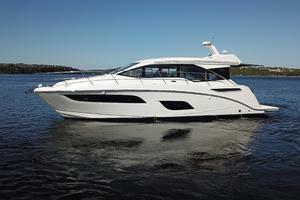 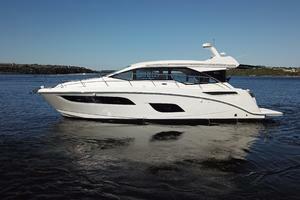 SANDMAN II is a Pre Owned 2017 Sea Ray 460 Sundancer that offers 2 staterooms & 2 heads. 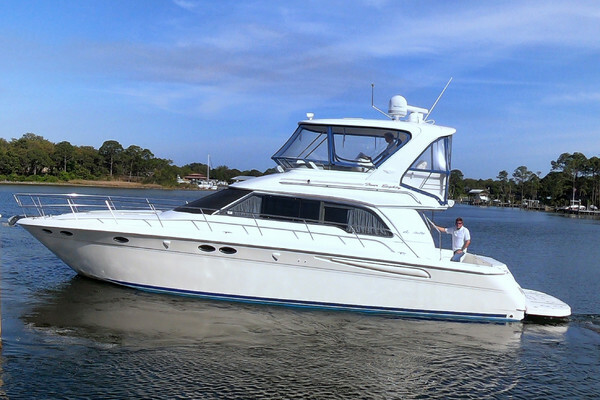 This yacht is powered by twin Cummins 550 engines. 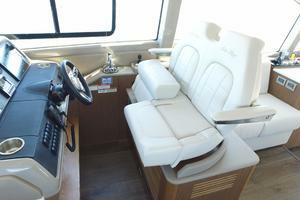 She has a great salon and cockpit layout that merges the interior and exterior to create one large and elegant social zone. 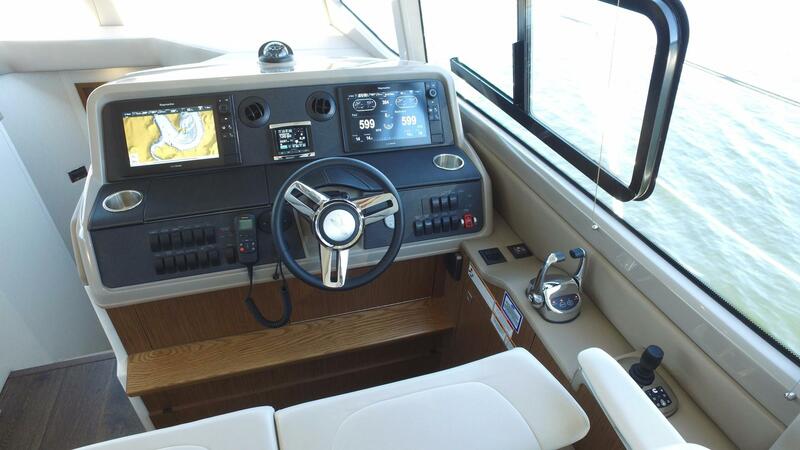 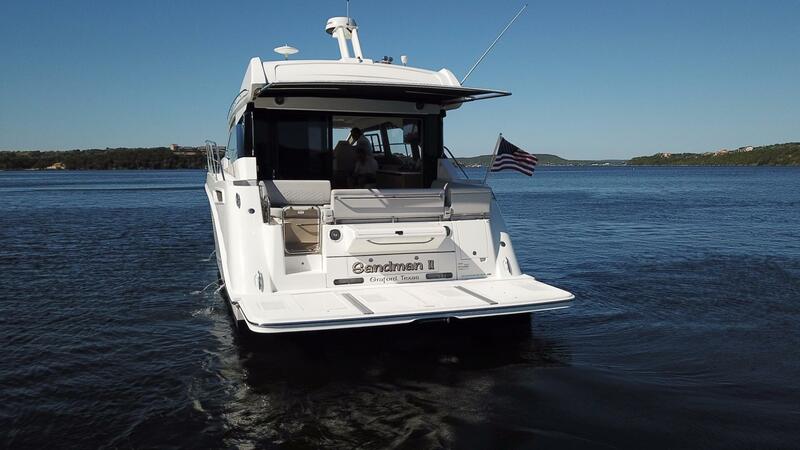 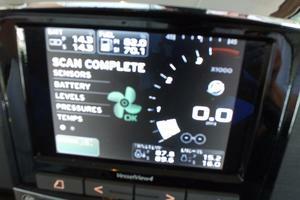 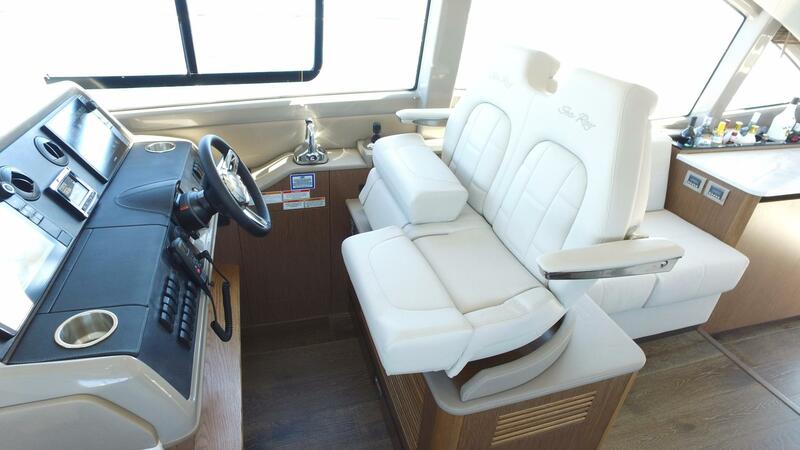 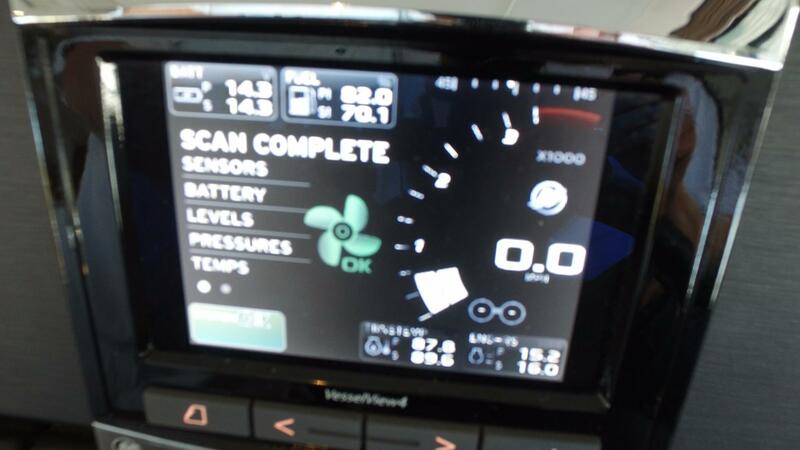 Equipped with a bow and stern thruster with the Cummins Joystick Docking Station that makes docking a breeze! 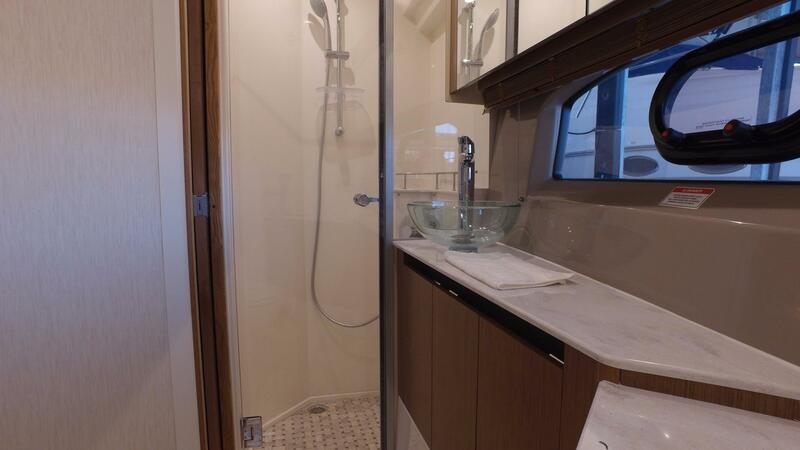 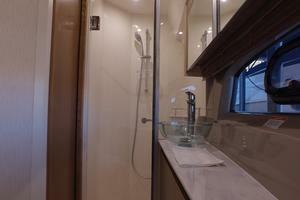 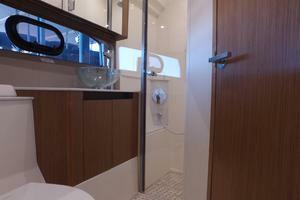 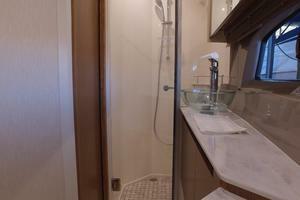 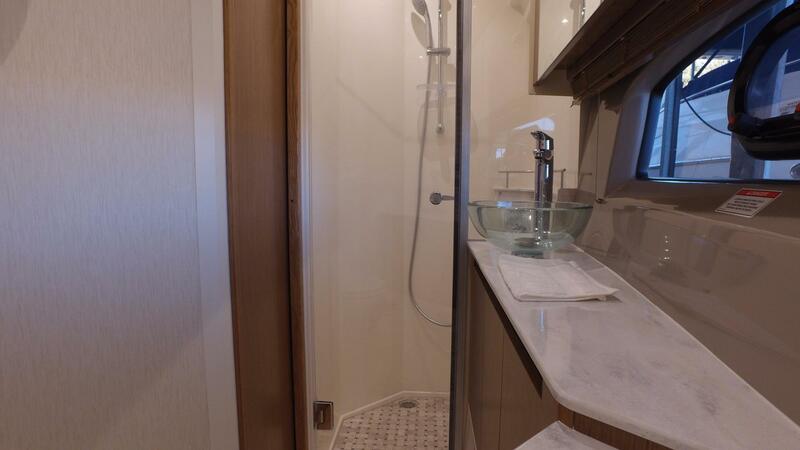 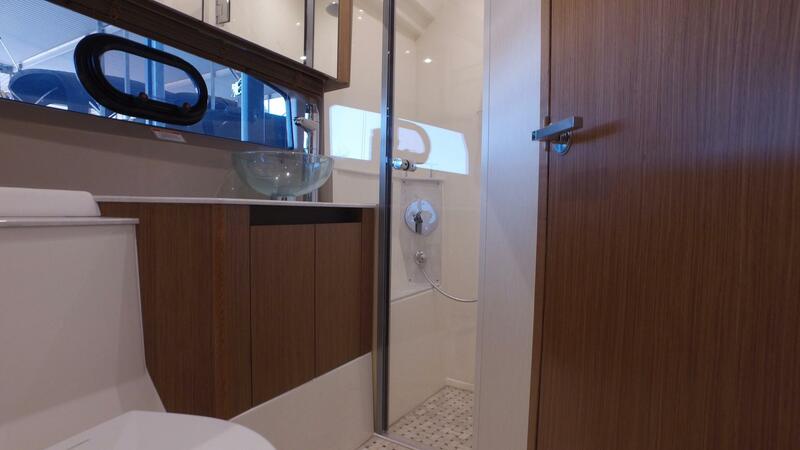 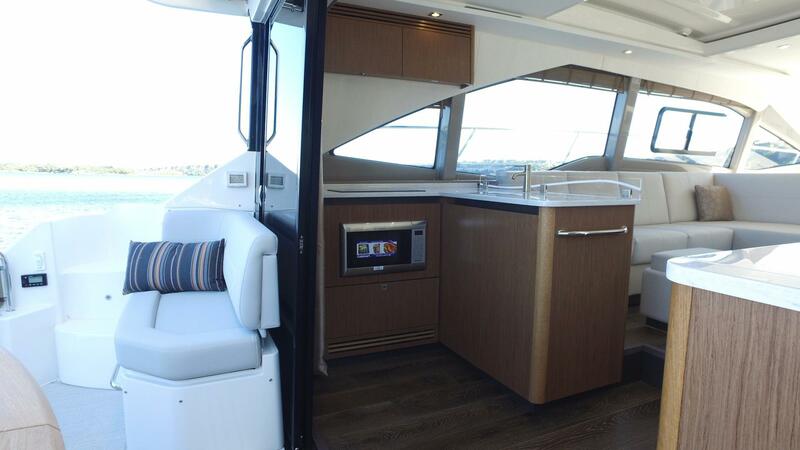 Galley back design with large pantry that provides lots of storage. 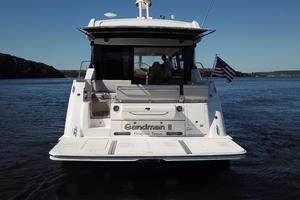 SANDMAN II currently has only 14 hours on the engines and 64 hours on the generator!! 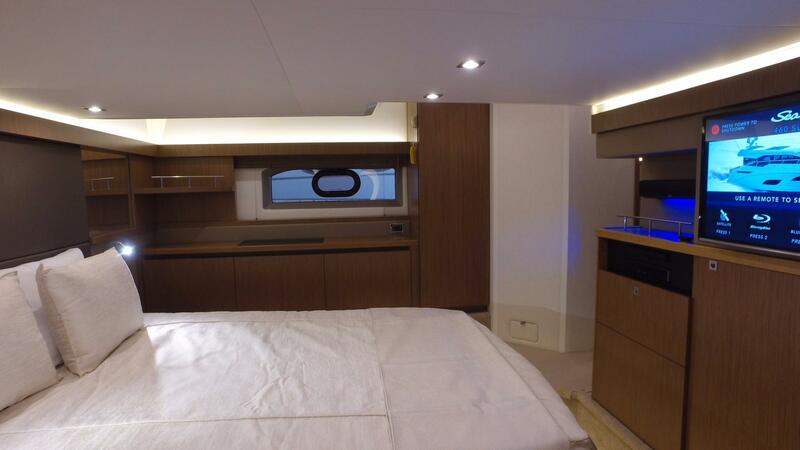 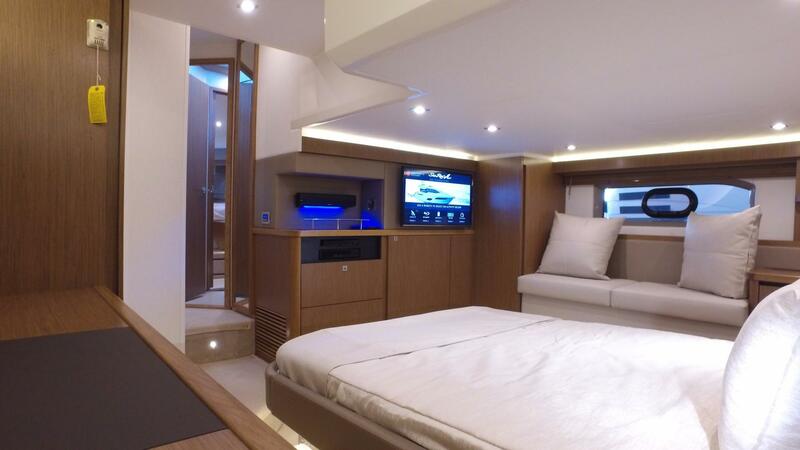 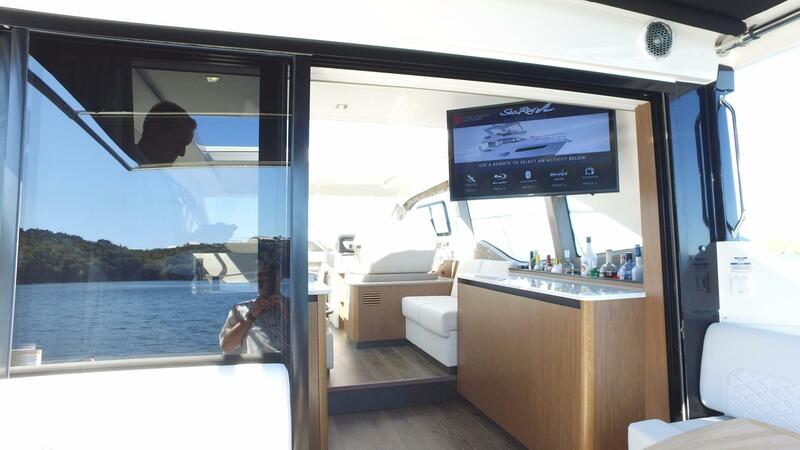 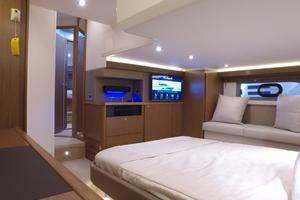 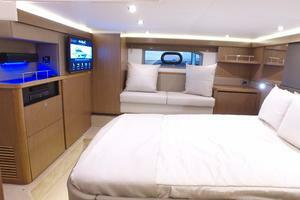 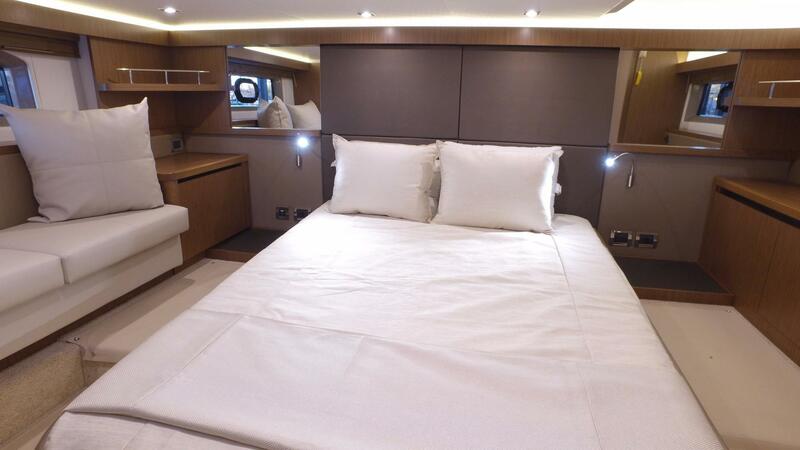 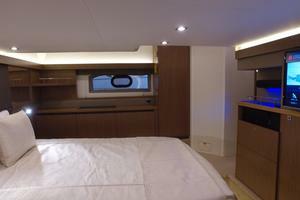 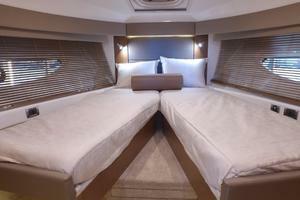 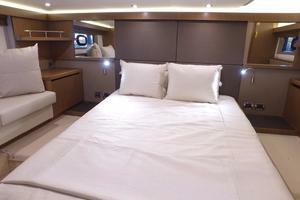 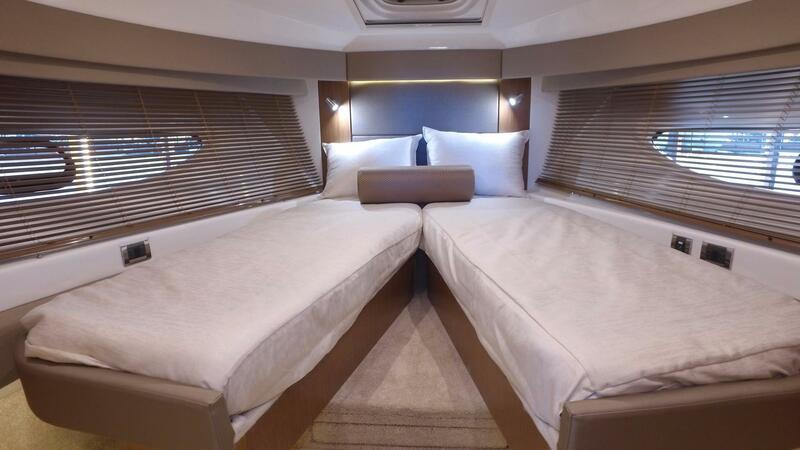 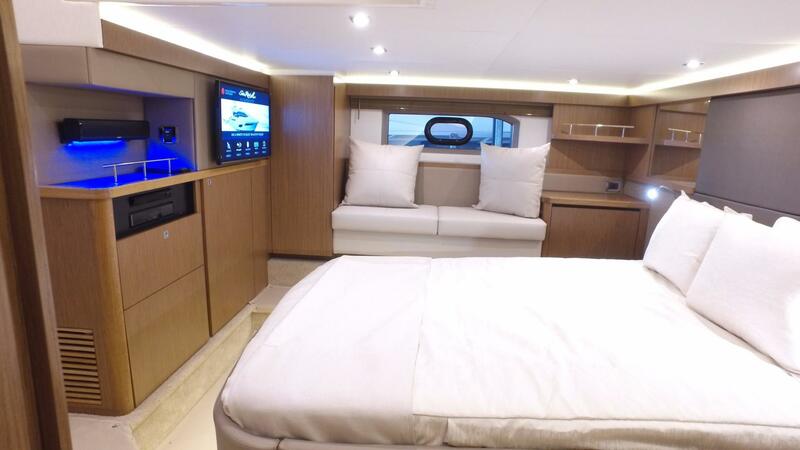 Never been slept in and is as close to new as any other vessel on the market. 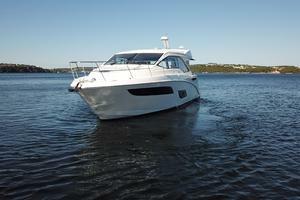 Owner has just had a change of plans and wants to sell. 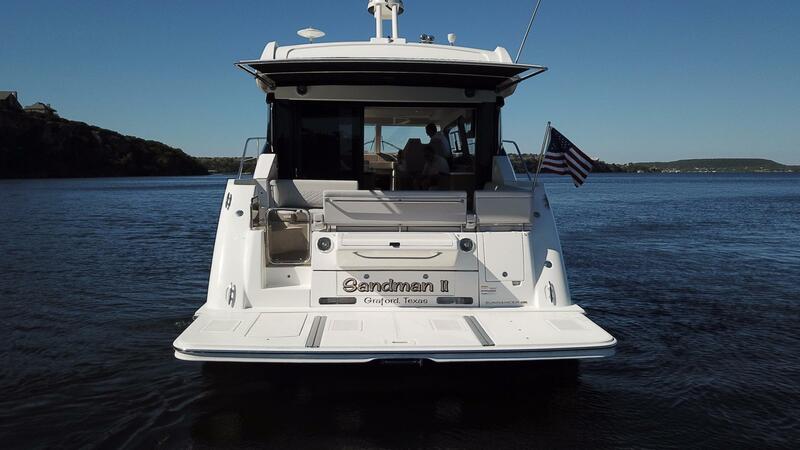 Sandman came directly from the factory in shrink wrap and has always been kept under a covered slip in a freshwater reservoir. 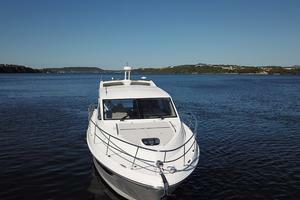 No exterior scratches or gouges as she has only been out of the slip four times since being delivered to her owner. 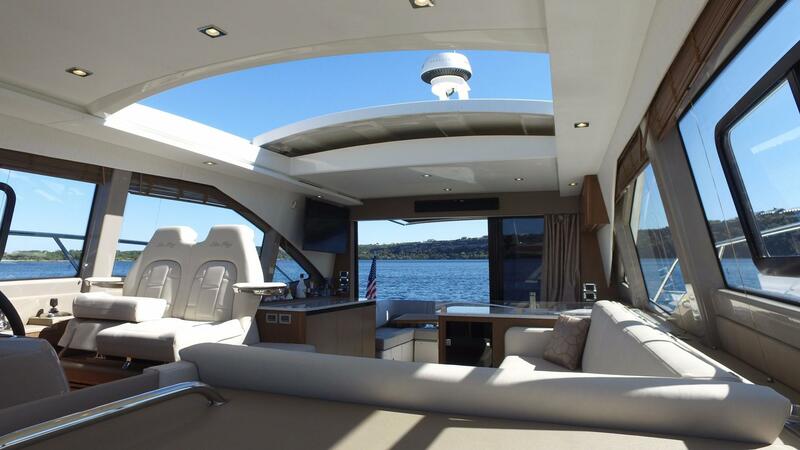 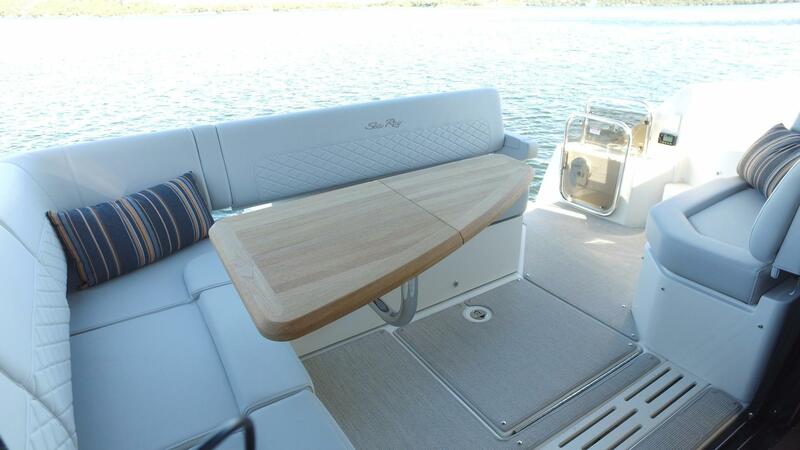 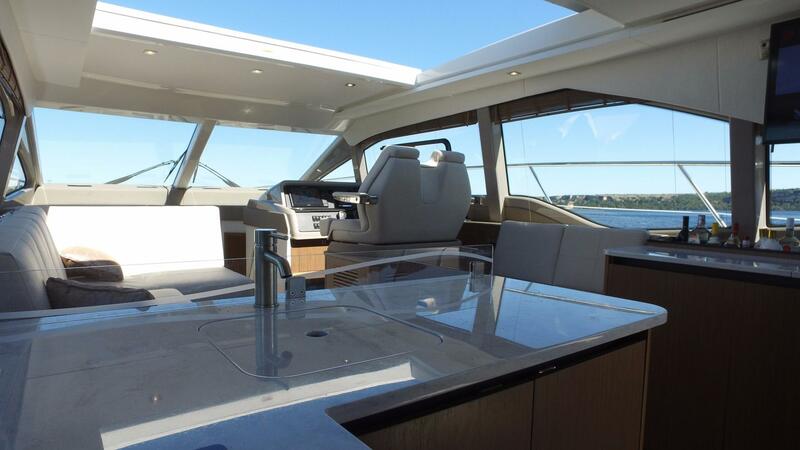 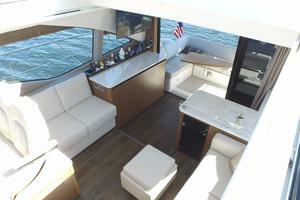 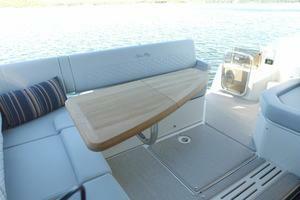 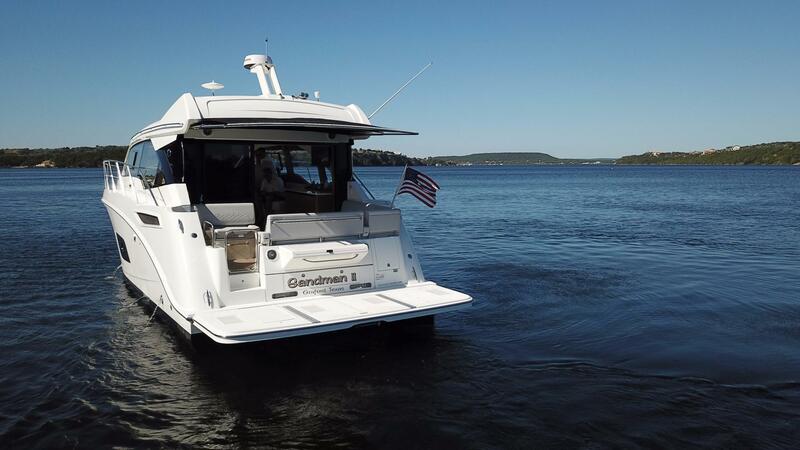 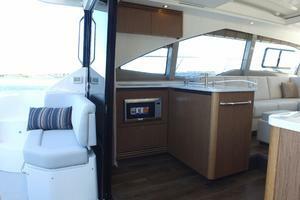 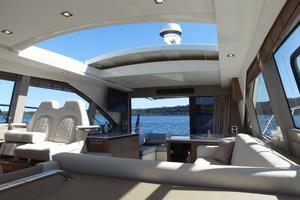 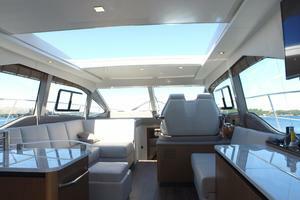 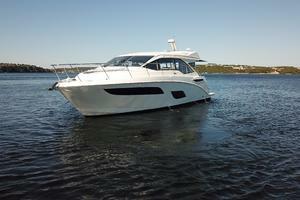 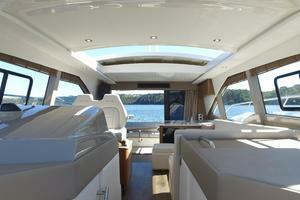 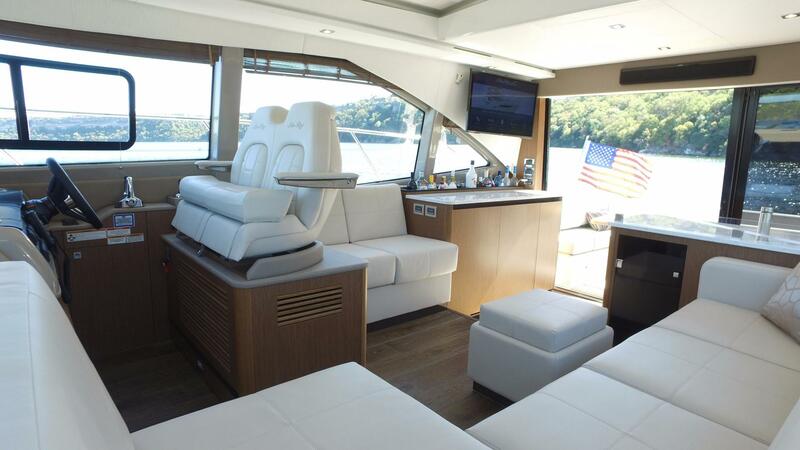 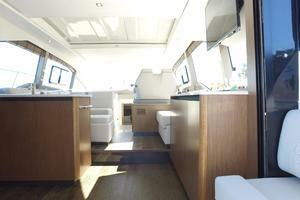 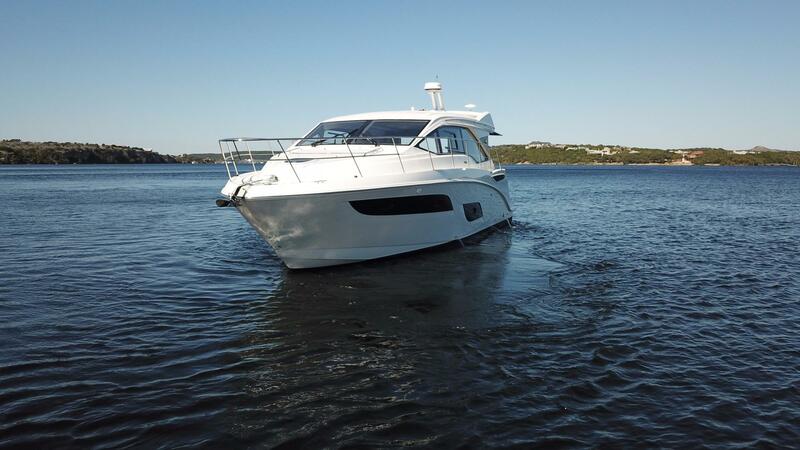 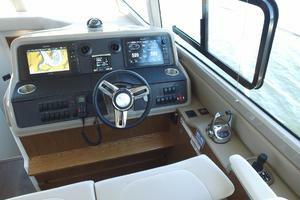 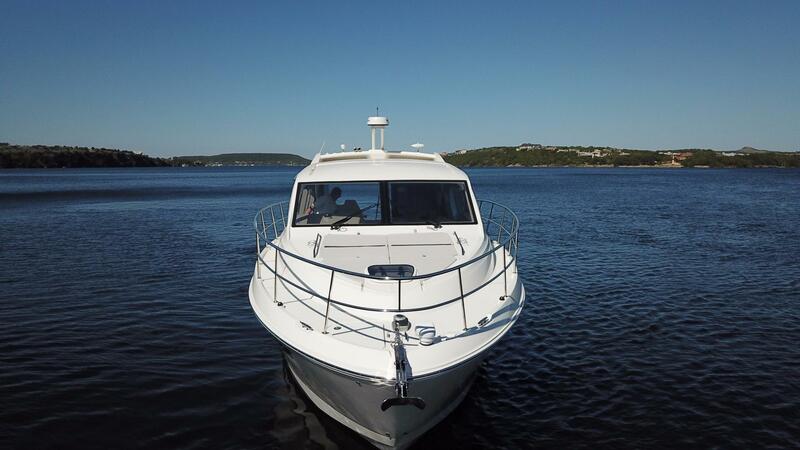 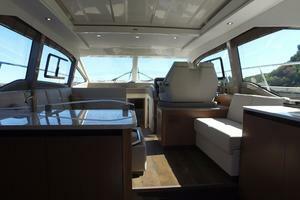 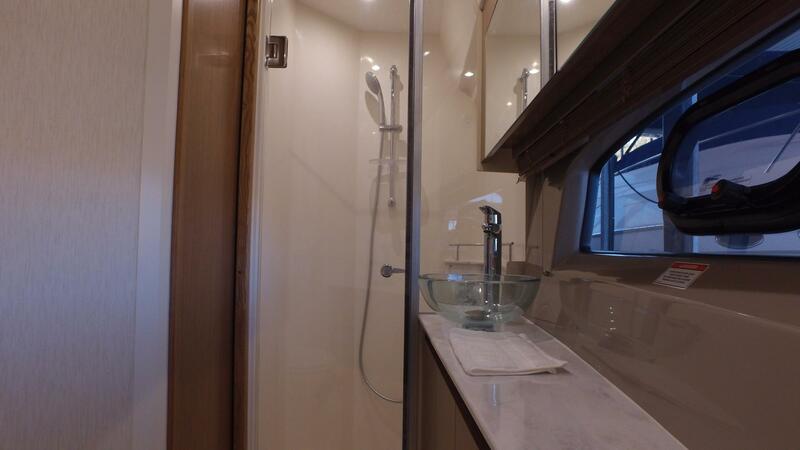 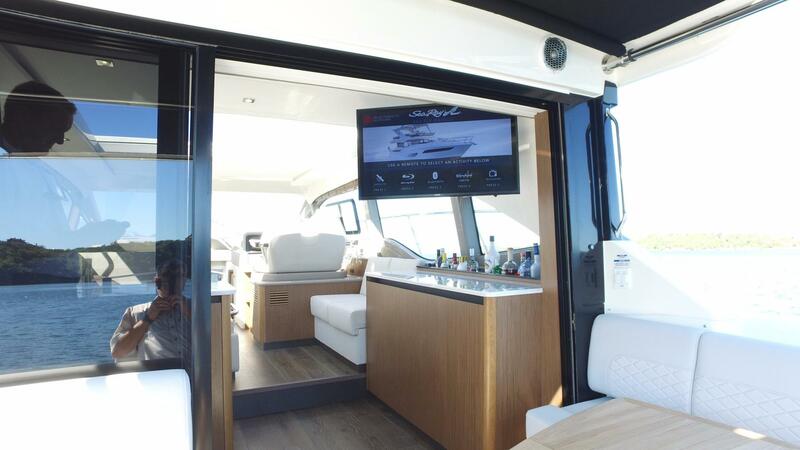 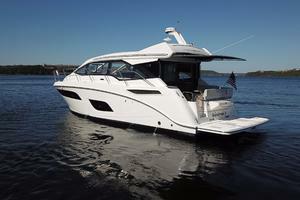 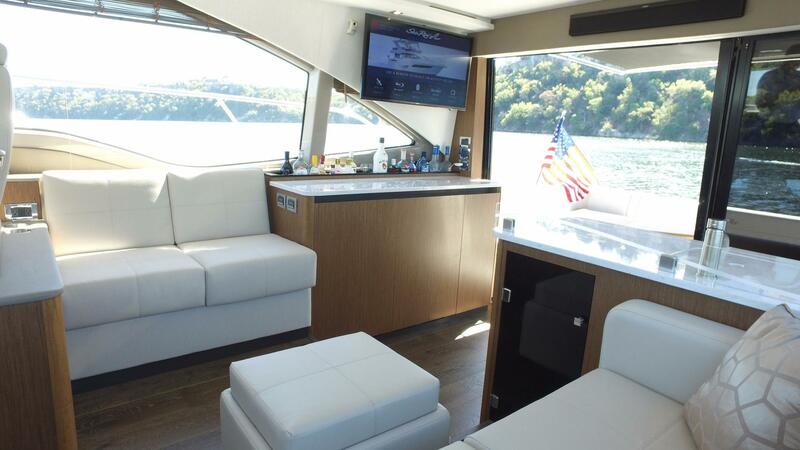 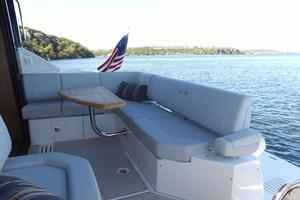 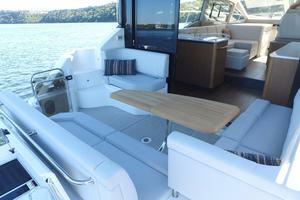 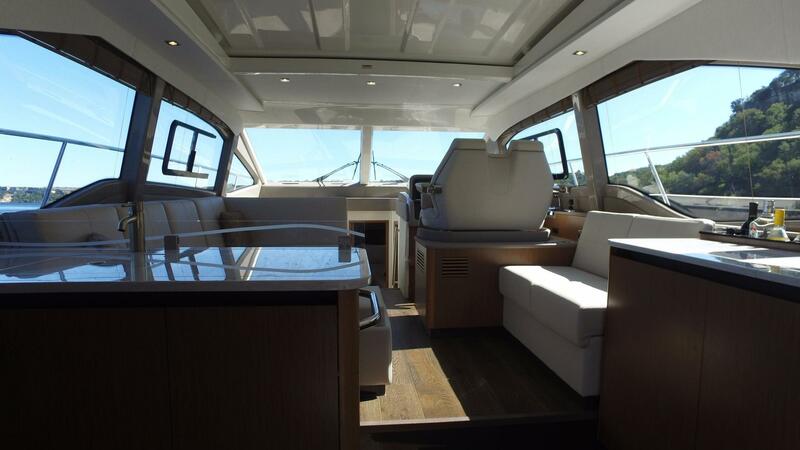 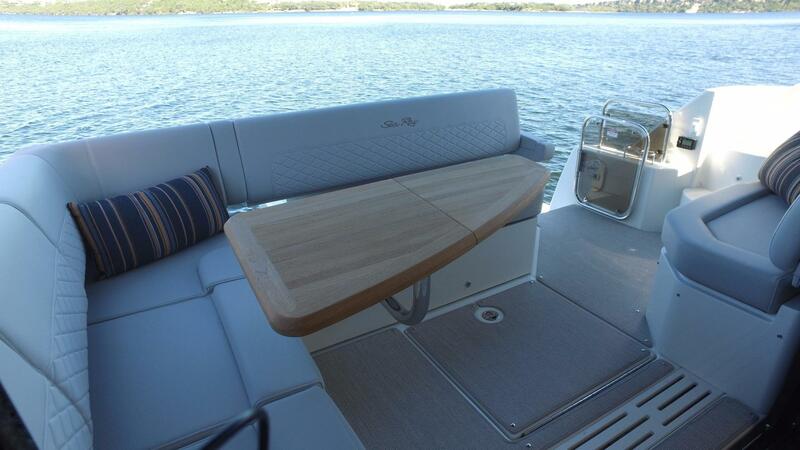 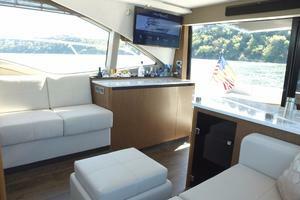 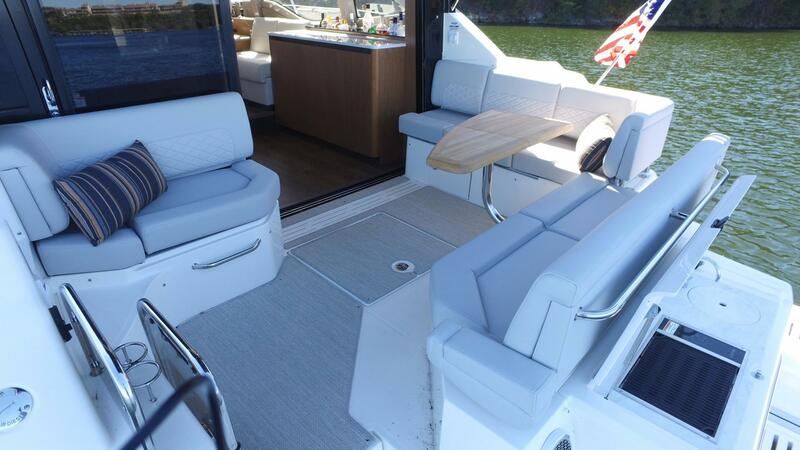 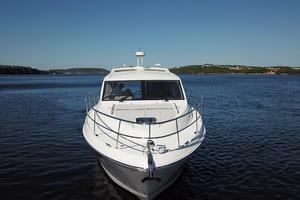 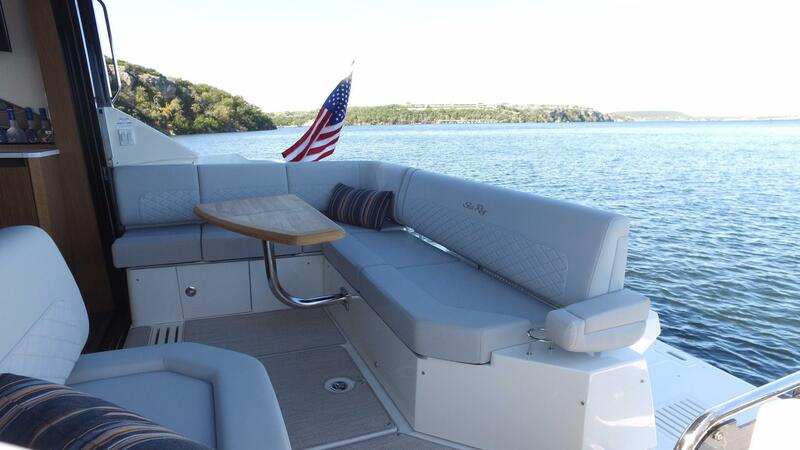 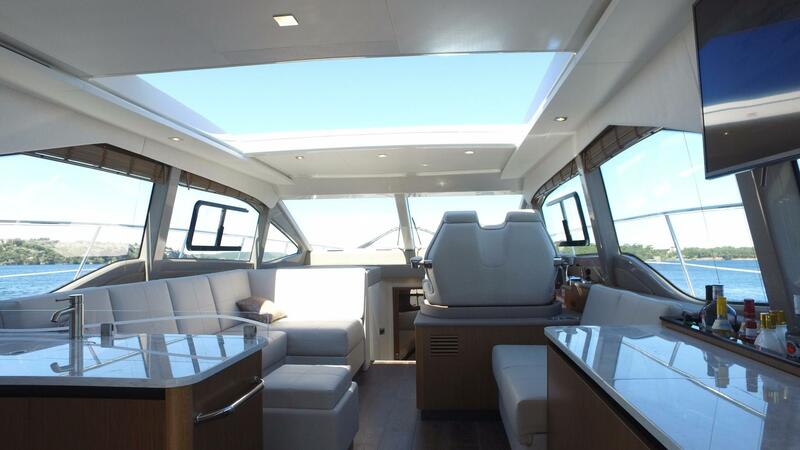 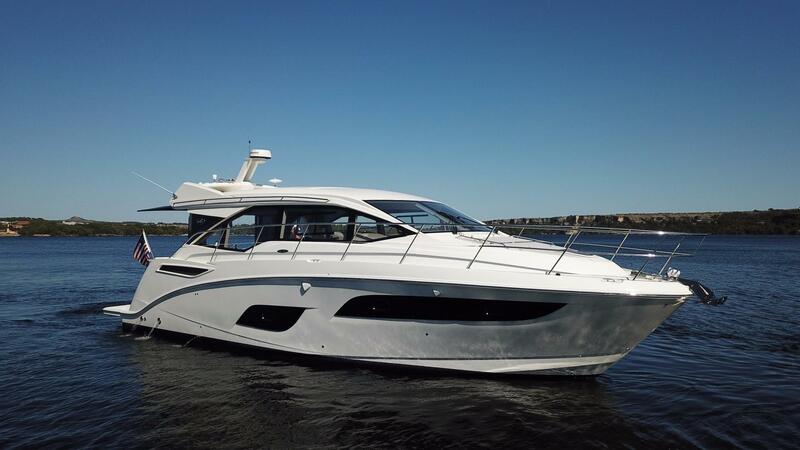 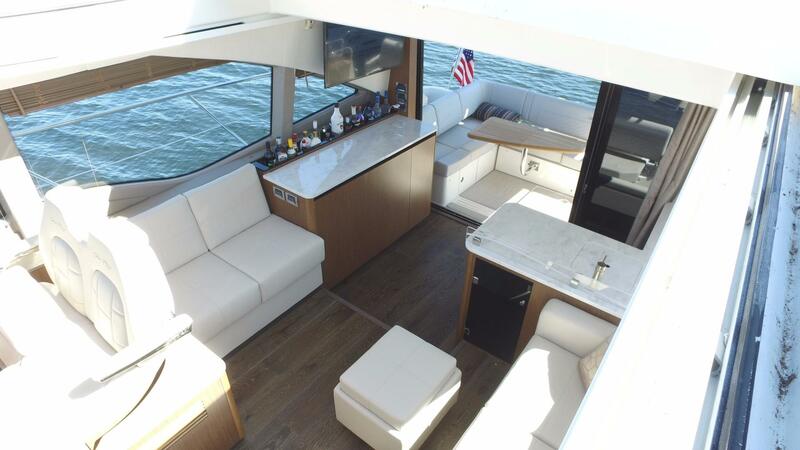 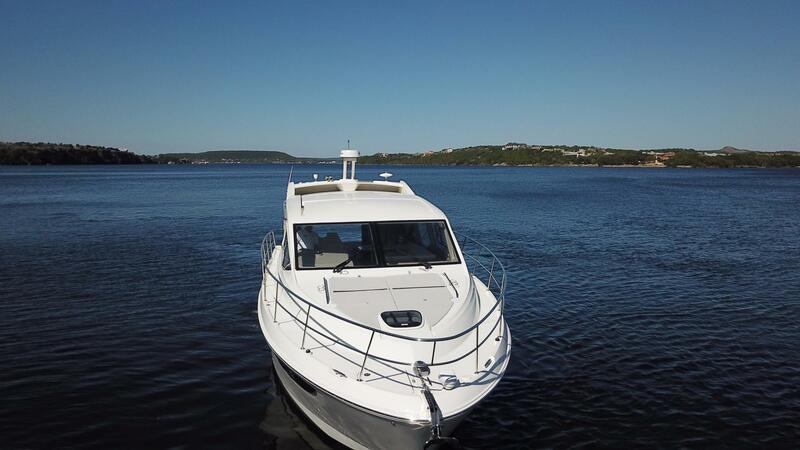 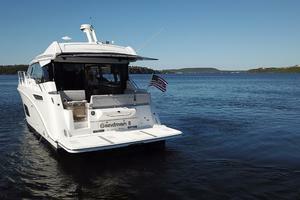 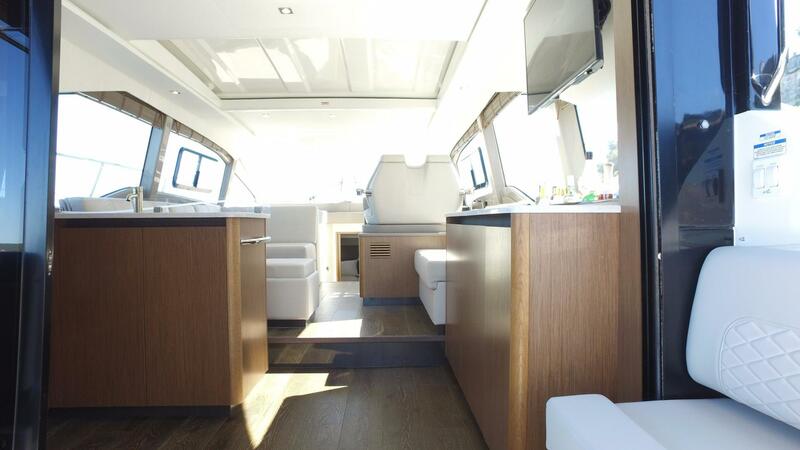 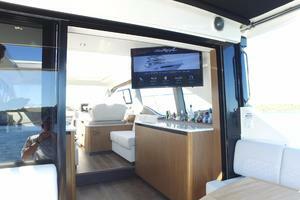 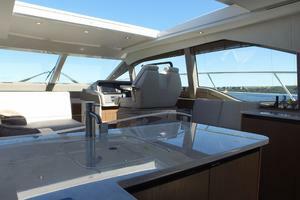 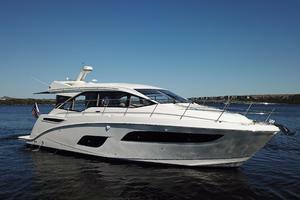 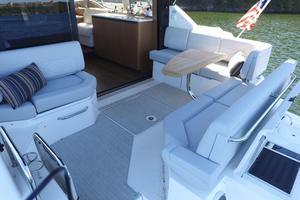 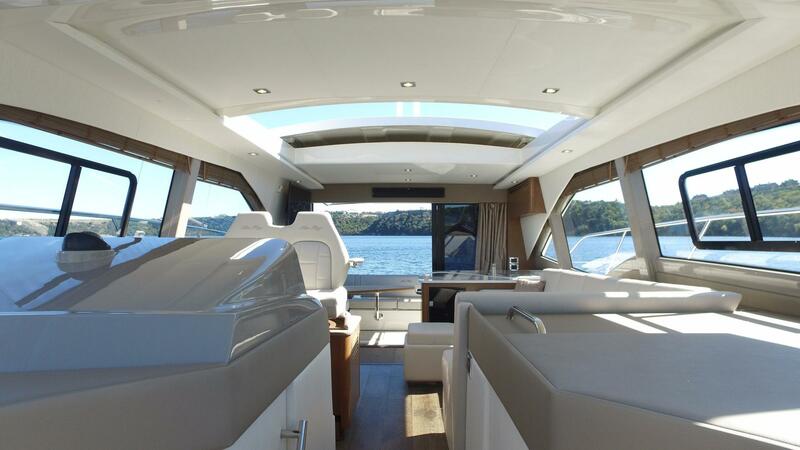 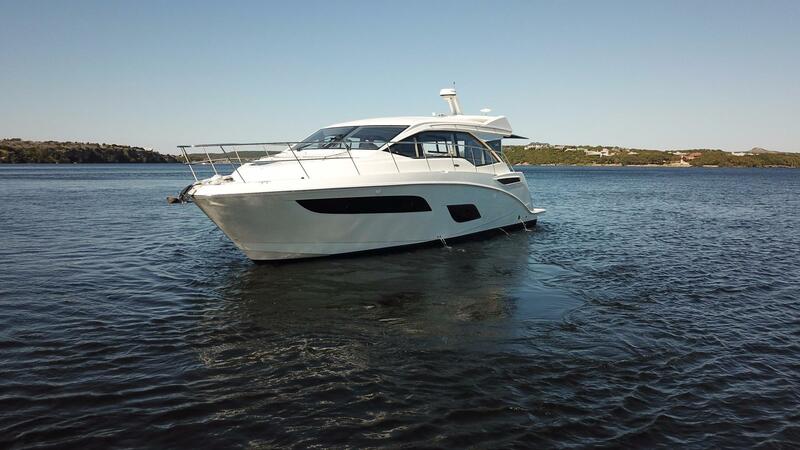 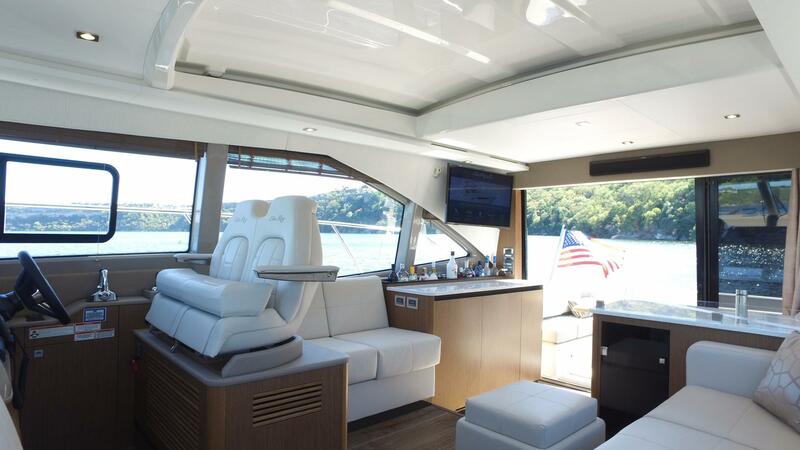 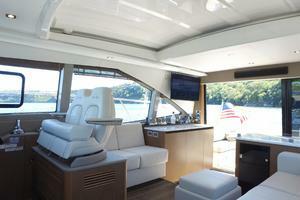 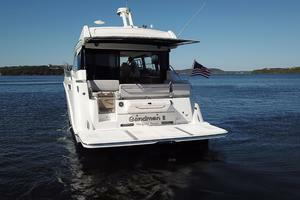 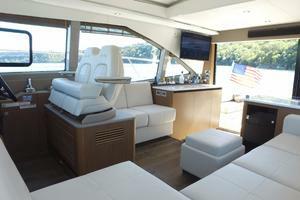 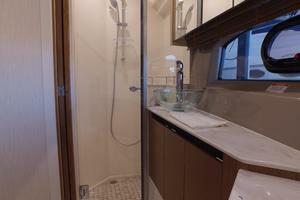 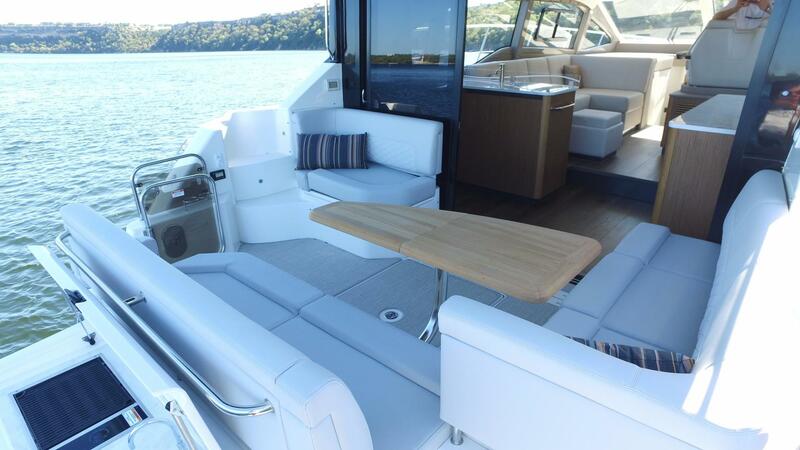 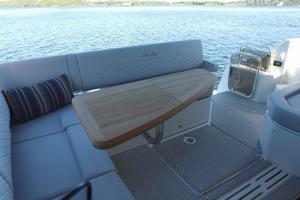 This is a great opportunity to save $$$ on a like new 460 Sundancer.